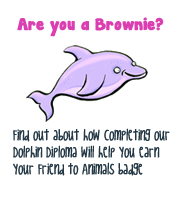 Are you as clever as a dolphin? But how can we tell? And there’s lots more of course. Think now about what else human children can do, or perhaps jot down a list, and then look at these examples of what individual dolphins and groups of dolphins have shown they can do. Here's a great video by Lori Marino, one of the world's leading experts on this subject, explaining how dolphin intelligence evolved.